B-17, also called Flying Fortress, was a U.S. heavy bomber used during World War II. The B-17 was designed by the Boeing Aircraft Company in response to a 1934 Army Air Corps specification that called for a four-engined bomber at a time when two engines were the norm. The bomber was intended from the outset to attack strategic targets by precision daylight bombing, penetrating deep into enemy territory by flying above the effective range of antiaircraft artillery. Turbo- supercharged radial engines (a uniquely American development) gave the necessary high-altitude performance, and heavy defensive armament provided protection against attacking fighters. Accuracy was achieved with the Norden bombsight, developed and fielded in great secrecy during the 1930s. The Norden consisted of a gyroscopically stabilized telescopic sight coupled to an electromechanical computer into which the bombardier fed inputs for altitude, atmospheric conditions, air speed, ground speed, and wind drift. During the bomb run, the sight was slaved to the automatic pilot to guide the aircraft to the precise release point. In the hands of a skilled bombardier, the Norden was a remarkably accurate sight. 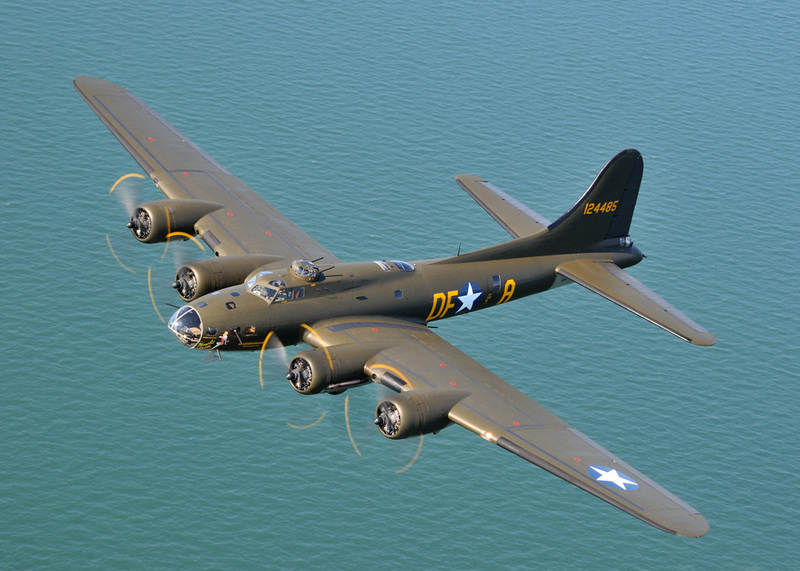 The definitive version of the B-17 was the G model, which entered service in the summer of 1943. Armed with no less than 13 .50-caliber machine guns, including two in a new “chin” turret for defense against head-on attack, the B-17G fairly bristled with machine guns. It was operated by a crew of 10, including the pilot, copilot, navigator-radioman, bombardier, and gunners. The plane’s service ceiling of 25,000 to 35,000 feet (7,500 to 10,500 metres), depending on the bomb load. The National Warplane Museum in Geneseo, New York operates and leases the Boeing B-17G Flying Fortress serial 44-83546, owned by the Tallichet family. 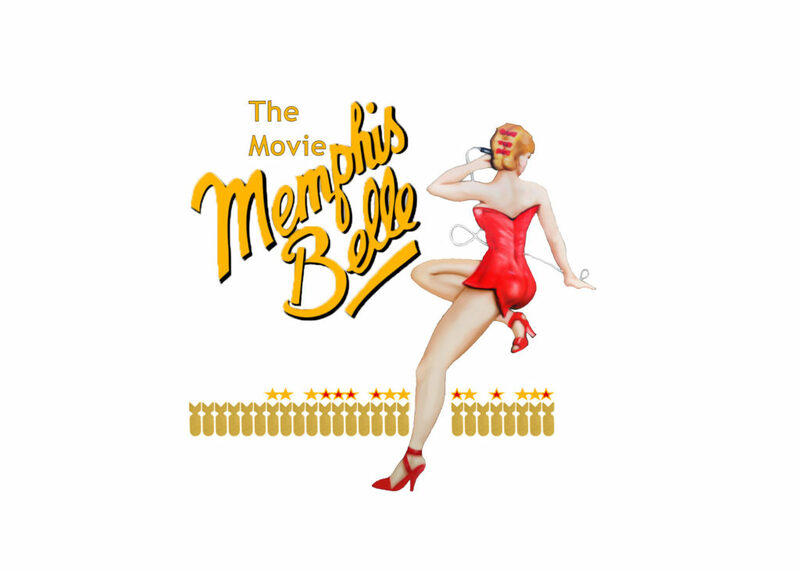 Known universally now as “The Movie” Memphis Belle, due to her starring role in the 1990 film Memphis Belle. The Movie Memphis Belle is one of approximately 10 B-17’s still flying. She has served as a VIP transport, a corporate aircraft and spent 15 years are a fire-bomber. She holds the distinction of never having been out of service in her history. Powerplant: 4 × Wright R-1820-97 “Cyclone” turbosupercharged radial engines, 1,200 hp (895 kW) each. Guns: 13 × .50 in (12.7 mm) M2 Browning machine guns in 8 positions ( 2 in the chin turret, 2 in the nose cheeks, 2 waist guns, 2 upper turret, 2 in the ball turret, 2 in the tail and 1 firing upward from the radio room. Range: 2,000 mi (1,738 nmi, 3,219 km) with 6,000 lb (2,700 kg) bombload.